St Catherine's old sanatorium and Victorian institute is a foreboding building with a dark and eerie facade overlooking the surrounding countryside on the outskirts of Doncaster. The building of the mansion was commissioned by George Banks. The original purpose of St Catherine's was a holiday retreat for the Banks family but later became the Banks main residence. Once the last member of the Banks family passed away St Catherine's was sold in the summer of 1928 complete with its contents.For the next 90 years the house was used for several different purposes including a hospital for the mentally insane, an isolation unit and a sanatorium and even for a short time a school house. Much suffering and death has been witnesses at the former family home during its time. As an isolation hospital daily updates of the patient's conditions and deaths were posted on the perimeter fences. With many empty rooms over two floors, a dark basement that still has the original operating theatre table and endless corridors and a really strong feeling of being watched so much so that the staff at St Catherine's refuse to enter some parts of the building alone. Some of the activity that is frequently reported at this terrifying location includes distant cries, hushed conversations in empty rooms, the strong feeling of being followed and doors being opened by unseen hands. Footsteps are often heard on the upper floors along with the sound of doors being banged. The hospital consisted of two children's wards, where infectious diseases were treated, a psychiatric unit, female unit and sanatorium, a male sanatorium which was located away from the other wards. St Catherine's stands alone and is foreboding and is not a place where people wish to go alone. Ghost hunting at St Catherine's is a must for anybody who has an interest in the paranormal. 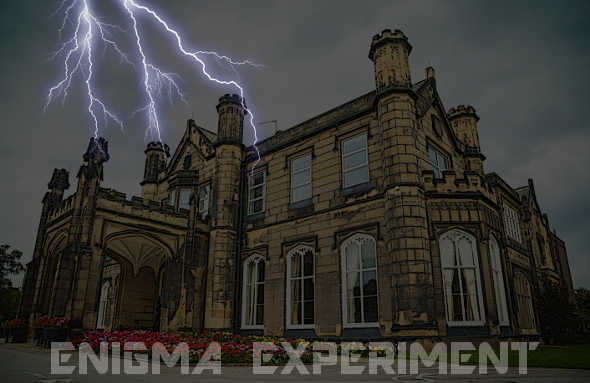 The activity witnessed here can be a chilling and frightening experience one for the brave paranormal investigators who are willing to join the Enigma Experiment.